The origins of modern marine insurance are to be found in the practices adopted by Italian merchants from the 14th century onwards, although there is little doubt that the concept of insuring was known long before them. Maritime risks, the risk of losing cargo and ships at sea, spurred the practice of medieval insurance and dominated the insurance scene over many years. Not to be left behind, the practice spread to London merchants during the 16th century. At first a group of merchants gathered together and agreed to bear all risks among themselves, a sort of mutual insurance. Common law played little or no part in resolution of disputes concerning the sharing of losses. In 1601 merchants in London secured the establishment by statute a chamber of assurance that was outside the normal legal system. The great London fire of 1666 aroused public conscience and paved the way for insurance as an answer to make good damage and disaster to public property and loss of innocent lives. It was Lord Mansfield as the Lord Chief Justice in the mid-eighteenth century applied principles derived from merchant law as well the more traditional common law concepts to resolve disputes over insurance and by the time of his retirement in 1788, the jurisdiction of the courts over insurance matters had been established. Marine insurance retained its prominent position for some considerable time and from the late 17th century onwards was increasingly transacted at a coffee house in the city of London owned by George Lloyd who acted as an intermediary and also doubled as an arbitrator over disputes among merchants concerning their insurance agreements and losses. Merchants who were gathered in Lloyd’s coffee house wanting insurance would pass round to the people assembled there and willing to provide insurance a slip of paper containing details of the shippers, ship, cargo, voyage etc. Those willing to accept a share of the risk inscribed their name and signature on the slip under the information about ship, cargo, voyage etc. Lloyd offered to assist the merchants in this endeavor by offering his services for a small fee. It was he who collected the premium money given by the merchants and held the money in trust and paid the losses suffered by the merchants in their maritime adventures out of those funds. When the total amount of insurance was “underwritten” in the slip, the contract was complete. From this practice comes the term “underwriter” still in use today and the coffee house of Lloyd has grown into the unique institution known as “Lloyds of London” an institution by itself and the largest in the world comprising something like 630 syndicates and is a corporation with statutory authority capable of writing insurance of any kind. The influence of Lloyds of London on insurance and insurance law has been very significant. The standard Lloyds Marine Insurance Policy known as S & G Policy was adopted as the statutory form in the Marine Insurance Act, 1906 of the UK. However, the form is rarely used today. Marine Insurance law as codified in the Marine Insurance Act, 1906 of UK and its special doctrines are sui generis. 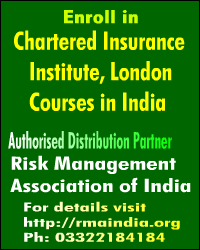 The Indian Marine Insurance Act, 1963 is very much modeled on its UK counterpart. Most business transactions imply that one commits resources (materials, machines, money and men) now with the expectation that in future he will get a return, which hopefully is larger than the resources parlayed. The point is that the outlay comes first in time and is certain, whereas the earnings come later and is more or less uncertain. It is uncertainty in terms of the earnings and the quantum thereof and the time when it accrues/ constitutes risk. It follows that due to the inherent nature of business, it is futile to try to eliminate risk. If one could manage to eliminate risk there would be no uncertainty and hence no business. But, not to worry, none shall ever manage to eliminate risk entirely so that there will be uncertainty and room for business, nothing ventured nothing got, as the saying goes. If there is no point in trying to eliminate risk, what then is to be done? One may try to select the ‘right’ risks (if at all selection of risks could be done), and furthermore manage properly the risks one has decided to take on. Taking the risks must imply that one focuses on those areas where the person’s skills and resources provide the best profit potential. This leads us to the question what services we can give to be in a position to provide better and more efficiently than others? Another important aspect of this which almost follows as a corollary is the “risk attitude” of the person. Is the person a “risk lover” or a “risk hater”? Larger the enterprise, greater the risk one has to face. The trade-off involved in this choice is a very subjective matter and in this context it is clearly without meaning to talk about ‘right risk’ and ‘wrong risks’. A risk is a risk, right or wrong. The important thing, however, is to be conscious about one’s risk attitude and act accordingly and consistently. It was our first prime minister Jawaharlal Nehru said, “Success often goes to those who dare and act: it seldom goes to the timid”. Risks associated with maritime adventure are numerous because of the multi-various agencies involved in the trade. Ship, cargo, crew of the vessel, port conditions, bunkering, ocean voyage, perils of the sea and many other factors contribute to the exposure hazard. They can be classified as follows. 1. Ship – Ownership of the ship (is it single or multiple or corporate ownership) , age, built in which ship yard, tonnage both GRT and DWT, registered in which register and classification, flag the ship flies, cargo the ship is designed to carry, the waters the ship traverses and the state of maintenance. 2. Cargo – Cargo which a ship can carry come in various shapes and forms. On deck cargo, under deck cargo in holds, cargo packed in cases or crates, break-bulk cargo, neo-cargo, crude and petroleum products, ores and minerals, coal, ore in slurry form, chemicals in the form of liquid, powder or solid, food grains stored loose or packed in sacks, house-hold articles packed in cases and crates, oil extractions, sea food in refrigerated containers, construction equipment, automobiles, refrigerators and air conditioning machinery, large machinery, bulldozers, bobcats, road leveling machinery, steel rods etc which are lashed or not lashed, containers which are stacked one over another and many others. 3. Port Conditions – A major risk in ocean navigation is the location of the port and the quality of port management. What facilities are provided in the port for loading and unloading cargo like portal cranes, lifting equipment, derricks, pilot vessels and pilot services, navigation channels and space for stacking containers and other cargo to be loaded or unloaded, fire fighting facilities, bollards for making fast berthing vessels etc. Ports which are located north or south of the temperate zones in the northern and southern hemispheres may not be navigable during winter months because of the possibility of freezing waters. Very often floating ice bergs pose as great danger to ships. I. The geographical location – how favorable it is, is the port assailed too often by high winds, cyclones, hurricanes, seaquakes etc. In many ports ships are impounded by local authorities for various reasons like non-payment of the wages of crew members, or non-payment of port charges or carrying prohibited cargo like contraband goods, arms and ammunition, radioactive material etc. In each port a number of functions are performed. 1. In the first place we can mention transport function. This is quite clear, as a seaport is a point of inter-modal interchange, a place where goods are being transshipped from and into the sea going vessels, to and from the various vehicles of overland transport. In the last more than a decade with containerization of cargo becoming universal and the most preferred mode of ocean transport, many inland container depots (ICD) have been established in close proximity to major ports for facilitating not only rapid transport of containers but equally important to stuff and de-stuff goods and assist the Customs Department in appraising dutiable goods and commodities. 2. The same can be said of the industrial function. The industrial and transport functions of the port are closely interrelated. A smooth operation of the port furthers the establishment of industries, some of them manufacturing products having a high export potential, both within and outside the port area. It, therefore, becomes necessary for the port to attract industries that strengthen the transport functions of the port and also augments the loading and unloading operations of the port. 3. Many ports have distributive and market functions which are becoming more and more important from the point of view of international trade. Many exporters and importers having manufacturing facilities in the interior look to ports for prolonged storage of their goods and hence ports are confronted with the necessity to make space available for construction of warehouses sand storage sheds. Ports are no longer just the entry and exit points for imports and exports. They contribute in substantial measure to economic stability in the region and the hinterland feeding the region. In the process they generate employment for professional services like bunkering and fuelling of ships, pilot services, clearing and forwarding of goods and commodities and many other quay side activities. 1. Geographical: Availability of land for port expansion and development. 2. Geophysical: Possibility of deepening navigation channels, basins and harbor entrances so as to facilitate deep draft ships to drop anchor as close to the port berths as possible. 3. Environmental: Maximum admissible water and air pollution and maximum allowable probability of occurrence of calamities. 4. Financial: Availability of funds and cost of borrowings from banks and other financial institutions. 5. Social: Availability of skilled labor and scope for employment. 6. Limitation in the capacity of hinterland connection. 1. General Cargo: This category consists not only of the classical-cargo but comprises containers, lash-cargo, RO/RO – cargo, break-bulk and neo-bulk cargo. With containers becoming the most preferred mode of consigning goods and commodities, they along with RO/RO – cargo are outranking all other forms of general cargo which may stay constant at a certain level. 2. Containers: Containers have become more or less the order of the day. With ICD set up in many parts of the country, particularly in SEZ, a multi-modular transport has become a pressing need. Also stuffing and de-stuffing of containers are done at ICD obviating the need for exporters of goods to move goods by road or rail to the nearest port for export. Customs Authorities also find it convenient to carry out the appraisal of goods and commodities for duty to be levied. Up to 1980 the volume of containers world over grew at an annual rate of around 9%. Thereafter it started levelling off and the current rate of growth is around 5% per annum. The 21st century is hailed as a century of containers, as without them international trade would come to a grinding halt. 3. LNG/CNG & Coal: These three commodities together constitute what is known as ‘energy-bearers’, as they are the major inputs in power generation, transmission and distribution. Further, LNG and CNG constitute “green fuel” and are seeking to replace petrol and diesel for motorized vehicles and also as cooking medium in households and eating establishments. Efforts are under way in India for prospecting for CNG in the Krishna – Godavari basin and supply of CNG to a few cities has already commenced. Also GNG has been made compulsory in Delhi and a few other cities as fuel for vehicles running on hire. A few ports in India like Chennai, Tuticorin, Paradip, Karaikal etc. have dedicated berths for coal imported from Australia. The Krishna – Godavari Basin where prospecting for natural gas is in full swing is highly promising and pipelines are being laid to bring the gas offshore. Some states have already got the supplies and others are eagerly awaiting the supply. Despite these efforts, it might take quite a few years for India to attain self-sufficiency in natural gas. Till then import of natural gas may be unavoidable. Marine Insurance started with insuring sea-going/water-borne vessels and cargo carried therein. The term “marine” means “concerned with or belonging to the sea”. But no longer is Marine Insurance restricted to sea-going vessels or cargo carried on them. It has expanded to all forms of goods and commodities carried by all types of water borne vessels, railway trains, trucks, airplanes etc for hire or reward. Apart from ships and other water borne vessels written in the marine hull department, aircraft hull and associated liabilities also form part of the marine portfolio. iv. By an airplane is the airway bill. A policy which covers a ship or an airplane is a time policy which means it has a definite time of commencement and a definite time of expiry. On the other hand, a policy which covers goods consigned through a ship or truck or airplane is a voyage policy which has a date of commencement but no definite of expiry. Such a policy expires when the goods reach their destination and are taken over by the consignee or his or her authorized agent. A voyage could take a few days or a few weeks or even a few months depending on the conditions of the sea or ocean through which it sails and the shipping line it takes. If, for any reason, a ship has to take refuge in a port for temporary repairs the voyage may get extended. The provisions of Carriage by Air Act, 1972, Warsaw Convention and Hague Protocol govern the liability in respect of all goods and commodities carried by air. For goods carried by surface transport, the provisions of the Carriers Act, 1865 are applicable. For goods consigned by water borne vessels both coastal waters and international waters the provisions of Carriage by Sea Act are applicable and in addition the Institute Cargo Clauses, the Institute Time Clauses,. York Antwerp Rules and Hague Visby Rules are applicable. 5. The reputation of the shipping company. Regardless of the transit, once a consignor hands over the consignment to the shipping company’s agent, the shipper has no control over the safety of the consignment. It is the master and crew of the vessel who have physical possession of the consignment. After the consignment is positioned in the holds of the ship, even they have no control over it. Hence the safety of the consignment largely depends on the way the consignment is stacked, seaworthiness and fitness of the vessel. The fitness and seaworthiness of the vessel depends on the age and state of maintenance of the vessel and whether it can withstand the hazards and the perils of the sea/ocean during the navigation. Regular maintenance of the ship and sound management of the ship contributes in substantial measure to its state of fitness and sea worthiness of the vessel. If the voyage is through familiar shipping lines, to a large extent it relieves the concerns of all the interests. But at times because of factors like high tides, rough seas, hurricanes and whirpools which are unpredictable, the master of the vessel may be compelled by force of circumstances to take deviation in the sailing of the vessel. Another serious threat which has cropped up of late is the sudden attack by hordes of rovers and pirates which many established shipping companies are forced to face, particularly the Somali pirates. Seaquakes triggered by earthquakes by distant lands are another source of worry for even for huge tankers. Though detailed maps of underground earthquakes are made available to the ships, there is no knowing when a seaquake can erupt. The action of sea beds is most unpredictable. If the subterranean tectonic plates suddenly shift, they can trigger forces which travel underneath for miles and miles and suddenly erupt. The recent earthquake in Chile sent subterranean tsunami shock waves to countries as far as Japan. Despite all research and findings how ocean floors behave, still an ocean is an unknown factor whose dimensions are still a mystery. The nature of cargo, whether it is fragile, what its dimensions are, how it is packed, whether it is cargo that can go easily into the holds of the ship or has to be taken as deck cargo, is it break-bulk or neo-bulk, or needs to be lashed etc. is a major risk factor. A risk which any ship has to contend with is whether any item of cargo can shift during voyage caused by the pitching and swaying of the vessel triggered by wave action. With containerization becoming universal, many of the risks like jettisoning of cargo to save the adventure have been very largely mitigated. Still in respect of break-bulk cargo or on deck cargo like large machinery, turbines, huge automobiles and construction machinery even though securely lashed are not secure and can be washed overboard by gigantic waves. Massive hurricanes and cyclones like Hurricane Hugo or Cyclone Nargis can topple over even huge container vessels. The perils, terms and conditions of insurance are very relevant for underwriting. Particularly in marine cargo one could go for various types of covers as follows. 1. Institute Cargo Clauses (ICC) (C): This policy covers loss or damage caused by explosion, stranding, grounding, sinking or capsizing of the vessel; overturning or derailment of land conveyance; collision or contact of the vessel with any external object other than water; discharge of cargo at any port of distress; jettison; general average sacrifice and salvage charges. 2. Institute Cargo Clauses (ICC) (B): In addition to what the ICC (C) policy covers loss or damage caused by earthquake, volcanic eruption or lightning; washing overboard; entry of sea water into the holds or the sea or place of storage; total loss any package lost overboard whilst loading or unloading from the vessel or the craft; general average and salvage charges and liability under “both to blame” clause. 3. Institute Cargo Clauses (ICC) (A): This is an “all risks” policy. It covers all perils as covered by ICC (C) and ICC (B) policies and in addition some of the perils which are excluded in those policies. The term “all risks” is not to be understood in the sense any loss or damage however caused is covered. Only those fortuitously are covered. All policies also cover War and Strikes, Riots, Civil Commotion (SRCC) risks for which premium has to be paid as per scale rates. The risk of terrorism and terrorist activities is another major exposure for which also cover is granted when applied for at additional premium. A contract of sale is a bilateral contract. The seller and buyer of goods or services determine the terms of contract. Over the years certain conventions came into existence which later on became law, such as the Sale of Goods Act, 1930. When it comes to international sales, exports and imports, the common forms of sale are Free on Board (FOB), Cost & Freight (C&F) and Cost, Insurance and Freight (CIF). In FOB contracts, the seller undertakes to deliver the goods contracted for sale over the ship’s rail where the risk passes from the seller to the buyer. On taking over the goods, it is the buyer who in addition to payment of freight also has to arrange for the insurance required in respect of the goods in transit. FOB contracts are generally sought by importers in a country who might have a marine open policy or open cover with their insurer which gives them the facility of declaration of goods imported by them to the insurer as and when such imports take place. Also the importers might have negotiated with their insurers the rates of premium which their overseas vendors might not be able to provide. 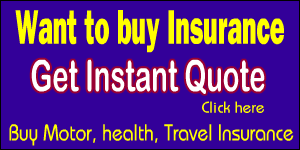 Another advantage san FOB contract has is that the importer may sell the goods even when they are on high seas to a buyer who does not have the hassle of arranging insurance. Of course, this benefit is available in C&F and CIF contracts. A C&F contract is one where the seller pays the freight leaving the insurance in respect of the consignment to the buyer. One benefit a C&F contract has is that the vendor who might be a regular customer of the shipping company might be able to get more reasonable freight rates than the importer. The responsibility of insurance of the consignment still rests with the buyer. Otherwise, a C&F contract is similar to that of an FOB contract. CIF contracts are quite common in all international commercial transactions. Most imports for projects which are on ‘turn-key’ basis are invariably on CIF terms. From the originating country till the goods are handed over to the ultimate buyer at the destination the vendor is responsible. Another aspect of CIF contracts is most of them are on “warehouse to warehouse” basis. In a “warehouse to warehouse” transaction the vendor takes the responsibility of packing the goods contracted to be sold as per the specifications agreed at the warehouse of the country of origin, transporting the packed materials to the port of origin, loading the consignment on board the carrying ship, paying the freight arranging insurance mostly under an ICC (A) policy, unloading the consignment at the port of destination and arranging for transfer of the consignment to the buyer’s warehouse at the destination. When we go back to the early history of marine insurance, what strikes us as most significant is that the seafaring merchants who had to encounter heavy losses and damage to their vessels and goods they carried caused by maritime perils like high tides, hurricanes, cyclones, fire, icebergs and the like and attack by pirates, rovers, thieves, freebooters and barratry in the course of their voyages thought of a mechanism of creating a special fund to share their losses which later took the form of insurance. It was George Lloyd who ran a coffee house in London agreed to become the trustee for the contributions the merchants made and to distribute the funds to those who suffered losses in their maritime adventure from out of the trust fund. How those initial forays into a form of insurance transformed into the modern day marine hull insurance is a long history which needs a special study. Basically four main types of sea going vessels are found in the current maritime channels both coastal and international. This list does not include Coast Guard Ships, Naval Ships, Pilot Ships, Lighter Vessels, Dredgers of navigation channels and harbor basins and self-propelled tugs. Also boats that ply in inland waters are not included in the list. Ocean-going general cargo vessels are in the range of 5000 to 15000 GRT. They include Container Ships, RO/RO- vessels, Lighter Aboard Ship (LASH), Refrigerated Vessels, Livestock Carriers, Heavy Lift Vessels etc. Vessels specially built for carrying petroleum crude and petroleum products with a DWT of even 500,000 or even a million tons are known as super tankers, very large crude carriers (VLCC), ultra large crude carriers (ULCC) are in great demand to transport crude from petroleum exporting countries to many parts of the world. Dry bulk carriers are specially built with over 70,000 GRT for carrying iron ore, coal, grains, fertilizers etc. 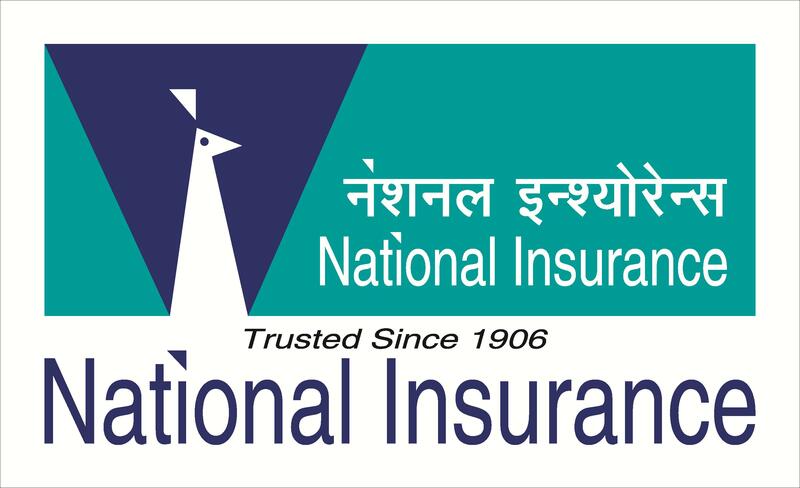 Underwriters who are specialized in writing tankers, bulk carriers, VLCC, ULCC etc. must be quite knowledgeable about the nature of cargo carried, sea lines through which they navigate, how stable they are, and in the event of distress where they could seek refuge for dry docking etc. Container vessels are meant to carry fully laden container cargo and are engaged on a fast liner service between specific ports. The carrying capacity of container vessels is referred to in terms of the number of TEUs (20- foot equivalent units up to 20 tons) or FEUs (40 foot equivalent units, i.e. 40 tons capacity). Constraints of space compel this writer from going into more details on marine hulls and Protection & Indemnity Clubs. Marine insurance is closely linked to international trade and commerce as banking. Banking relies heavily on insurance and in particular on marine insurance. Despite airplanes carrying quite some cargo world over, ocean marine transport of cargo is the most predominant means of transport in international trade.